Herbie | Ty Templeton's ART LAND!! Another Well Known Comic Character Dies. Sadly, long time comic book character, “Liz-Taylor-as-Cleopatra” has been killed off by the editors until further notice. Technically, unless you see a body, there’s no official death with comic book folks, so we’ll only report her as “missing in action”. 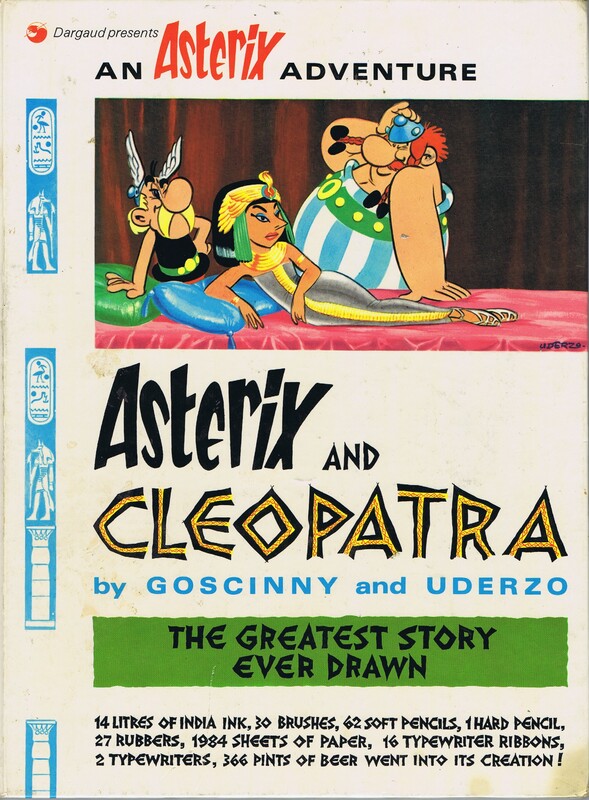 Besides playing lover to the Fat Fury, Liz-as-Cleopatra dallied with Asterix and Obelix in an early adventure. If Richard Burton knew about it, he never let on. 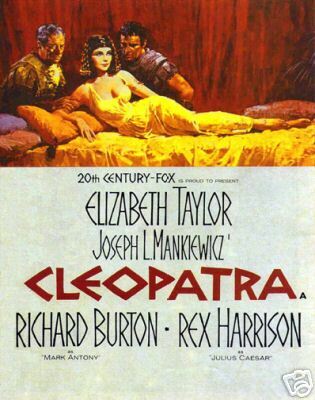 And, should you consider that this isn’t a Liz-Taylor-as-Cleopatra comic book appearance, check a contemporary movie poster for a certain hit movie that came out earlier that year. It really is a very lovely nose. I prefer it with Asterix in the background, actually. 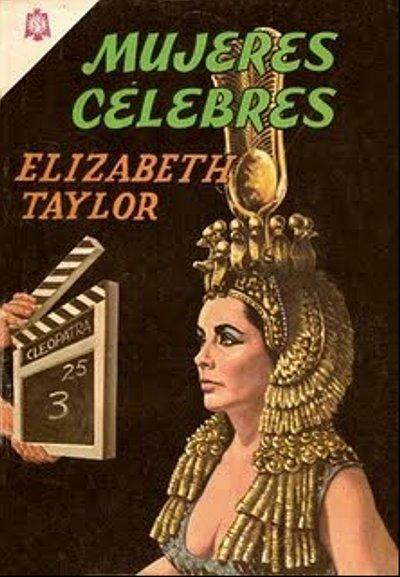 I’m fairly sure that this Liz Taylor-as-Cleopatra comic book was printed in Spanish, and the title up there translates into “Mohair Celebrities“, though she’s not even wearing mohair in the drawing. So that’s confusing. 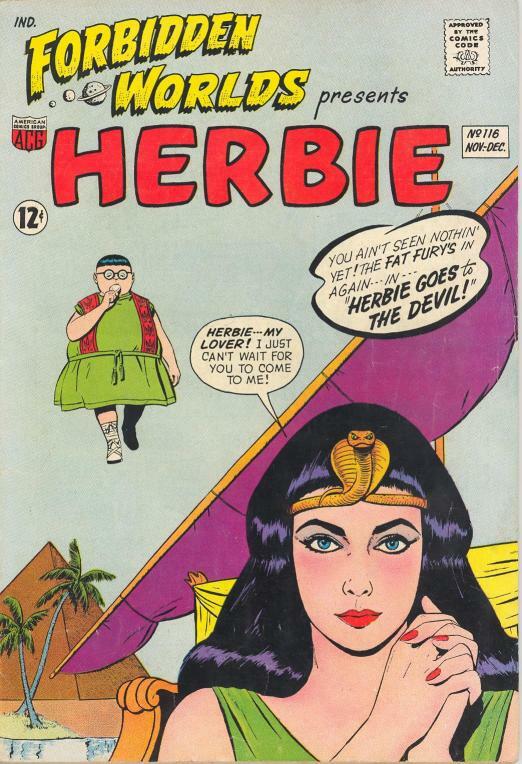 Liz also used to appear as a recurring celebrity in the backgrounds of important parties in the Marvel Comics all through the Sixties without the Cleopatra gear. I think she might have even attended a Marvel wedding or two, though I can’t remember which at the moment. Though we lost the real-life actress this week (a tireless AIDS activist and a great broad all around), we’ll always have her comic book version to resurrect if we can ret-con her back into continuity with a secret doppelganger, a robot, or a time traveling transporter that whisked her away from danger at the blink of an eye. Which is why comics are better. When I was young and single, I dated an actress (with the unlikely name of Barbara Bush), whose film debut was opposite Elizabeth Taylor and Carol Burnett in the film shown above. I have no idea how quickly that connected me to Kevin Bacon, but I always felt Liz owed me at least a Christmas card. 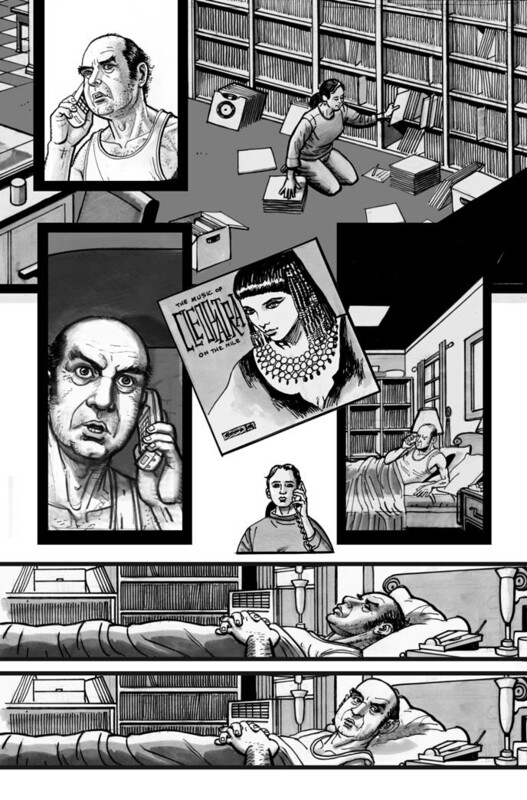 ALSO: I had to draw Liz-Taylor-as-Cleopatra for a Harvey Pekar comic story a couple of years ago…..
…proving once again, that Elizabeth-Taylor-as-Cleopatra is as likely to show up in a comic book as Doctor Doom.